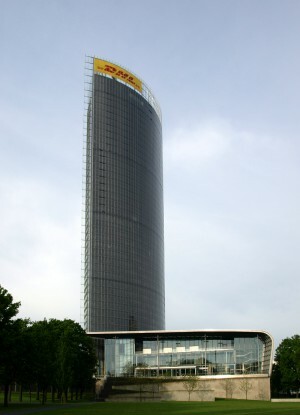 Deutsche Post DHL’s Bonn headquarters is an expression of the company’s confidence in progress and in technology to improve the work environment. 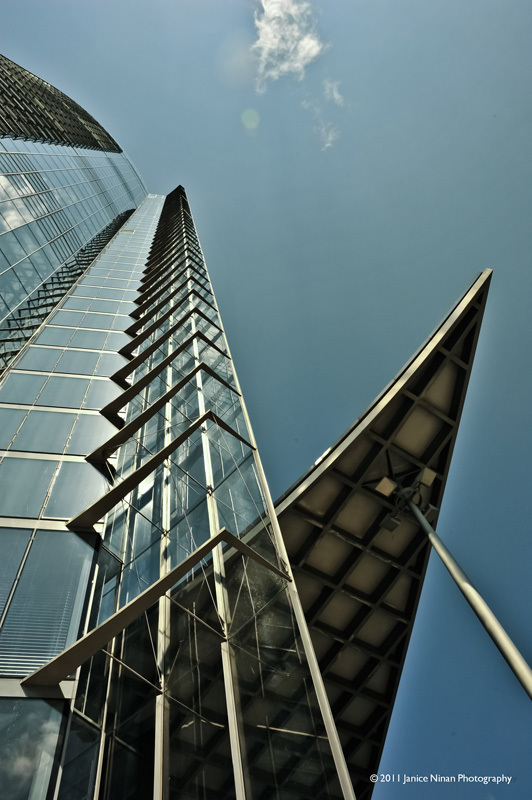 The architect’s aim was to create a forward-looking high-rise for the 21st century: formally, technically, and ecologically advanced, and offering a high quality work environment. 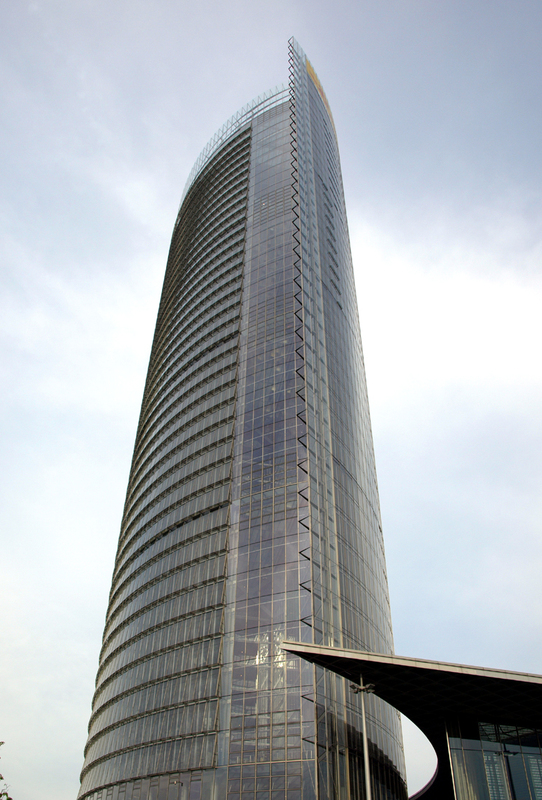 The Post Tower demonstrates the potential for technically integrated buildings to deliver high performance. From the onset of planning, the client expressed a strong desire to give all office staff direct access to the outside air and natural light. 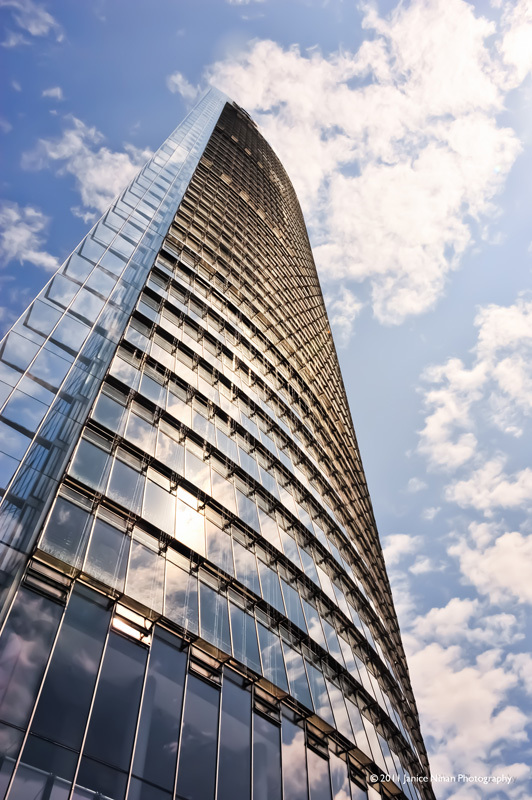 Combining these factors lead the design team to develop the twin-shell façade and split-building typology that embraces natural ventilation and green energy sources. 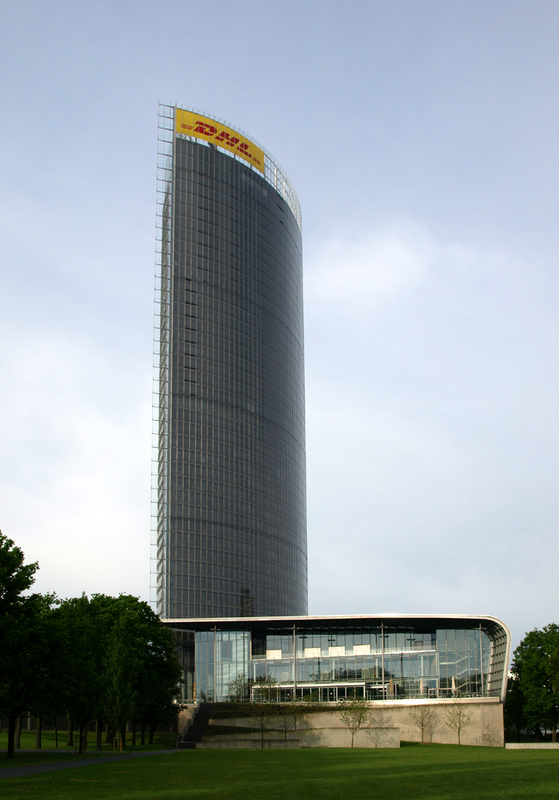 The Post Tower uses natural ventilation and decentralized cooling/heating systems to reduce the mechanical load, and consequently energy consumption, while improving floor-plate efficiency and eliminating mechanical shafts and ceiling ducts. 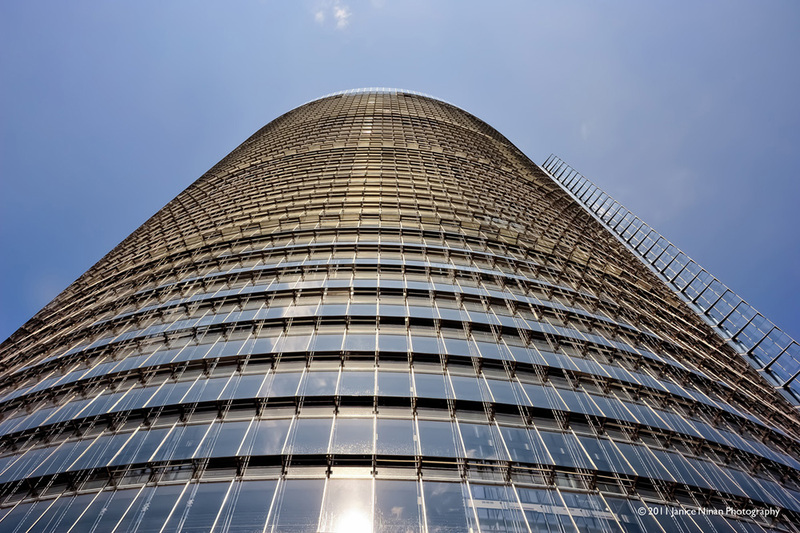 This allows the tower to consume only 75 kWh/m2 (measured through 2003), which represents a 79 percent energy reduction when compared to a typical air-conditioned building. Only 3 kWh/m2 are used for cooling, and the energy used for heating is drastically reduced compared to the benchmark building. 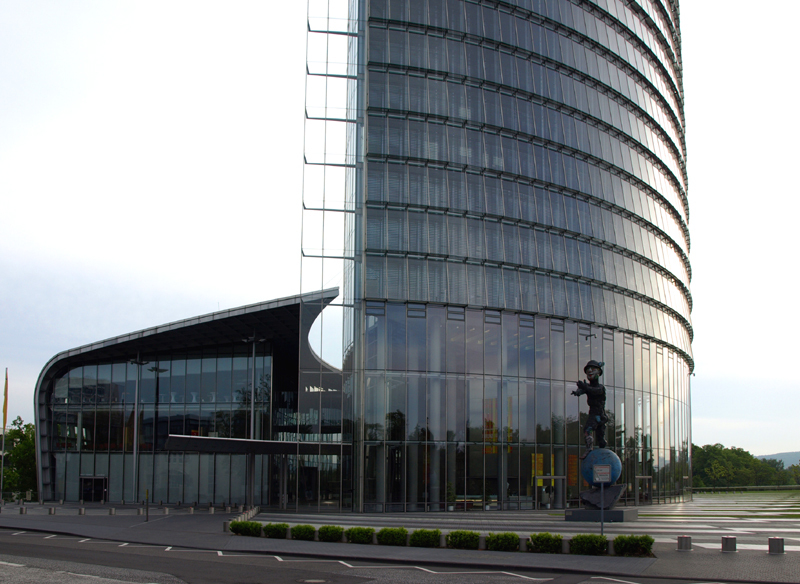 The savings on energy usage and central air-conditioning system equipment and space offset the additional investment in the façade. 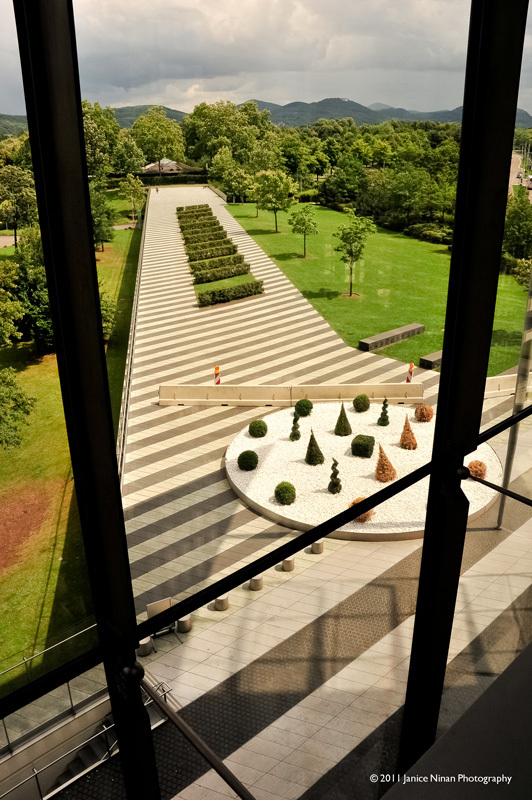 The Tower’s form consists of two, offset elliptical segments separated from each other by a 7.2 meter wide atrium that faces west towards the City of Bonn, and east towards the Rhine River. 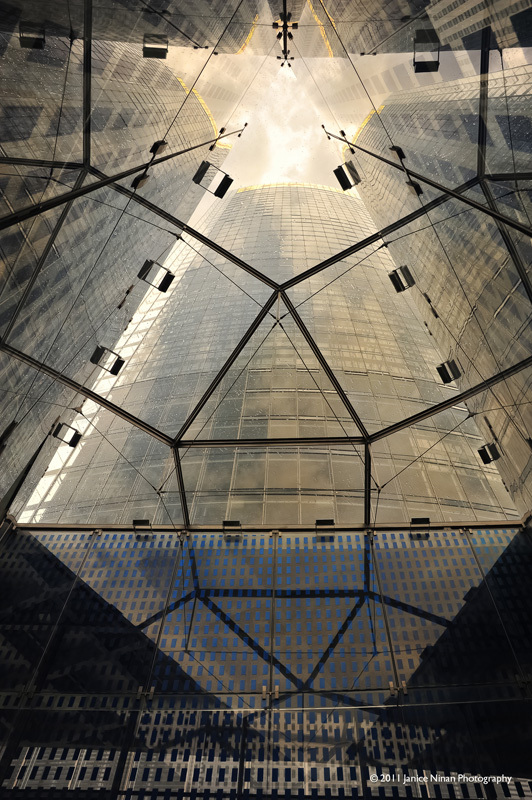 The atrium runs the full height of the Tower, incorporating the glazed passenger elevators, and it is divided into four parts by sky gardens; three are nine stories high and the top one is eleven. 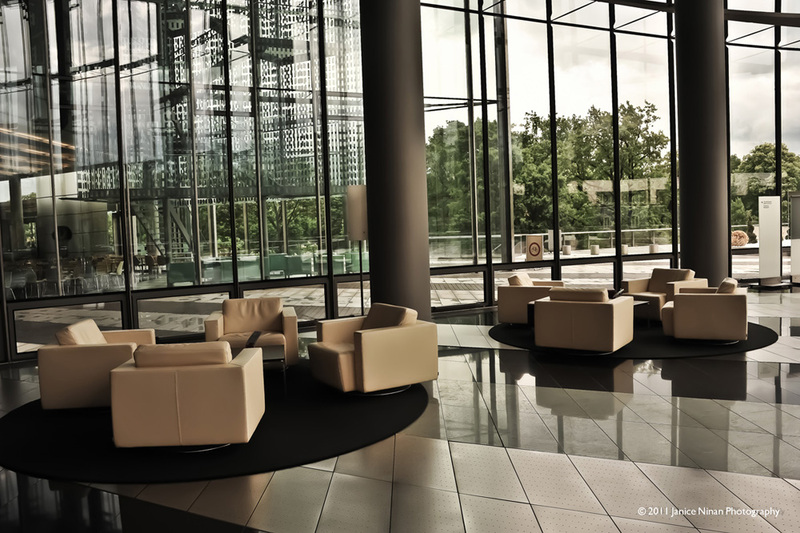 In each elliptical segment, cellular offices wrap around the perimeter, with conference rooms and core functions located towards the atrium. The two main façades of the high-rise face north and south, while the sky garden façades have east and west orientations. By orienting the building in the primary wind direction, the wind profile was optimized, both for structural efficiency and natural ventilation. 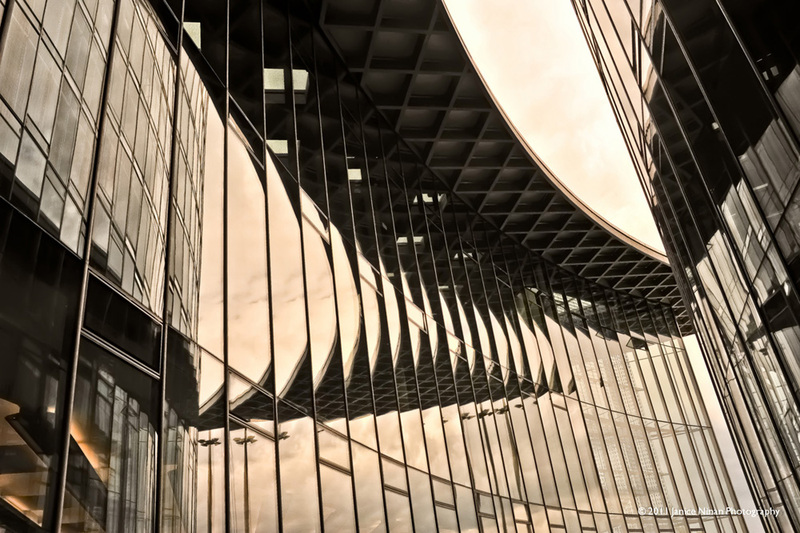 Outside air enters the building through the twin-shell façade, flows through the offices and into the corridors, which act as horizontal exhaust air collectors, ultimately venting the exhaust air into the atrium. Using the stack effect, the exhaust air in the atrium is then vented through operable windows located high in the façade of each nine-story atrium, with low-level vents added to assist the natural airflow. The façade consists of the outer single glazed façade, operable sunshades and an inner façade of floor- to-ceiling insulated glazing. 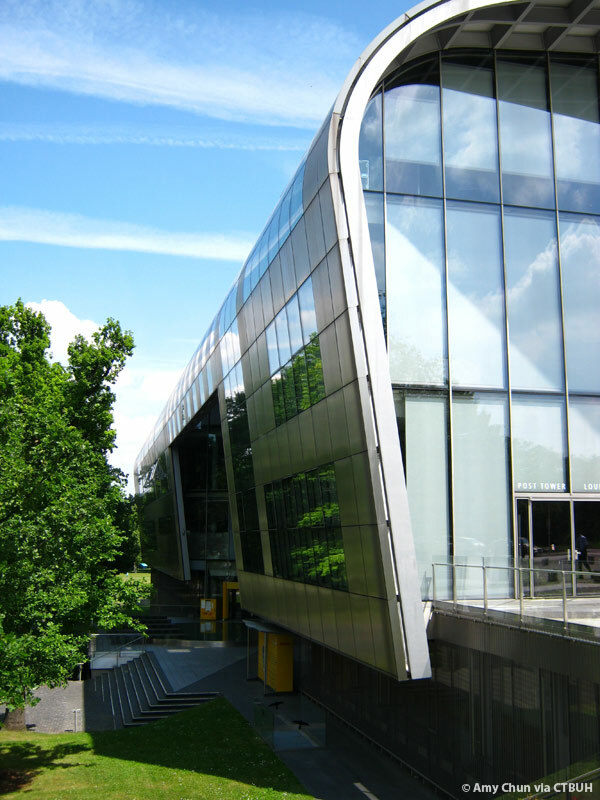 The horizontal continuity of the façade and its aerodynamic shape allow it to dissipate the pressure differences across the faces of the building, enabling natural ventilation to take place without a draft. The outer facade is hung in nine-story increments from extruded stainless steel mullions, and braced horizontally at every floor with wind needles. The south façade features sloped glass panes, allowing air-intake and exhaust at the bottom of each panel. The north facade is a smooth plane with alternating ventilation flaps. The inner façade is a floor-to-ceiling aluminum curtain wall with insulated glazing. Motorized, operable windows are located in every other façade module. 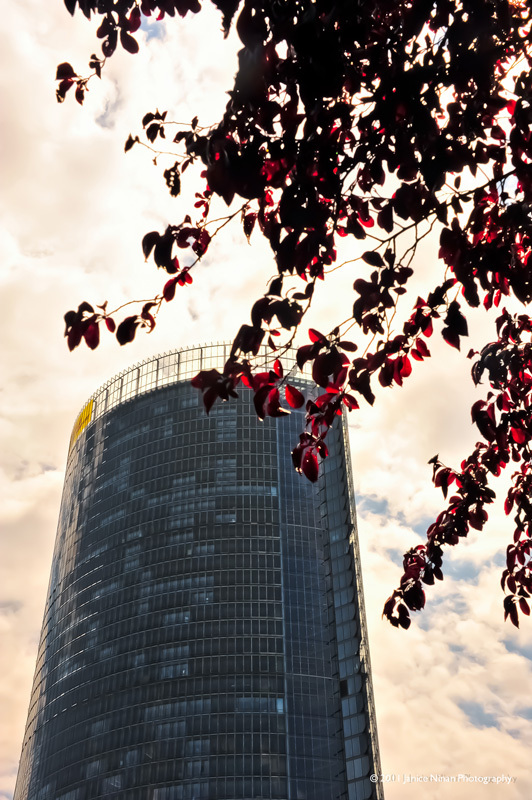 During spring and fall, these windows serve to naturally ventilate the offices, substantially reducing the building’s reliance on mechanical conditioning. After working hours, the windows are centrally opened to provide night flushing of the tower with cool air. 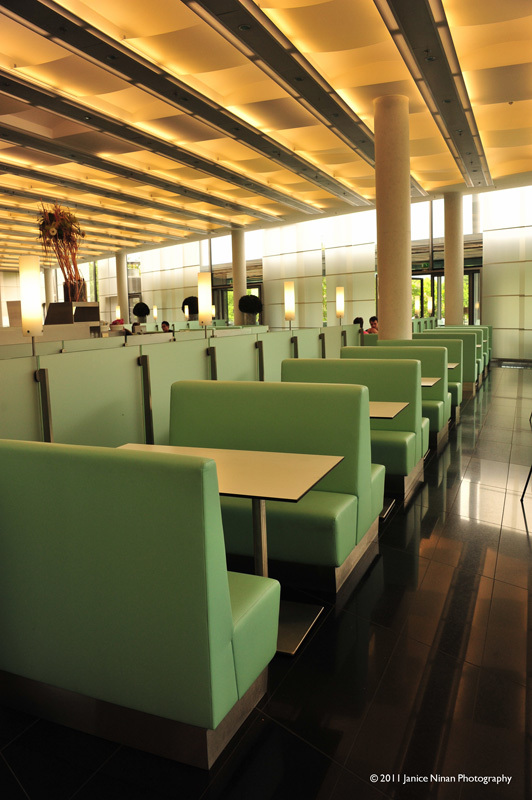 Each employee can manually alter the internal environment according to individual preferences using a touch-screen, allowing individual control of the blinds, lighting levels, operable windows, and internal temperatures. 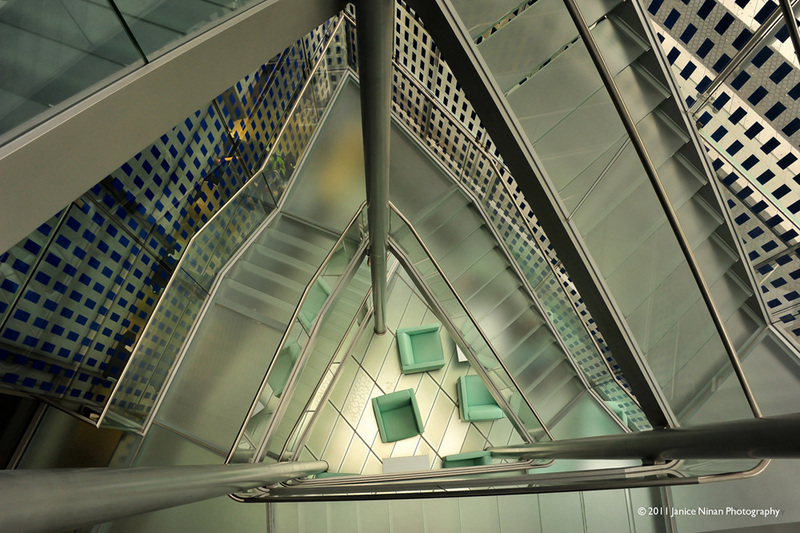 The design of the Post Tower opened up new possibilities for the work environment, promoting interaction and communication, and delivering flexible spaces that can accommodate new layouts and technologies.